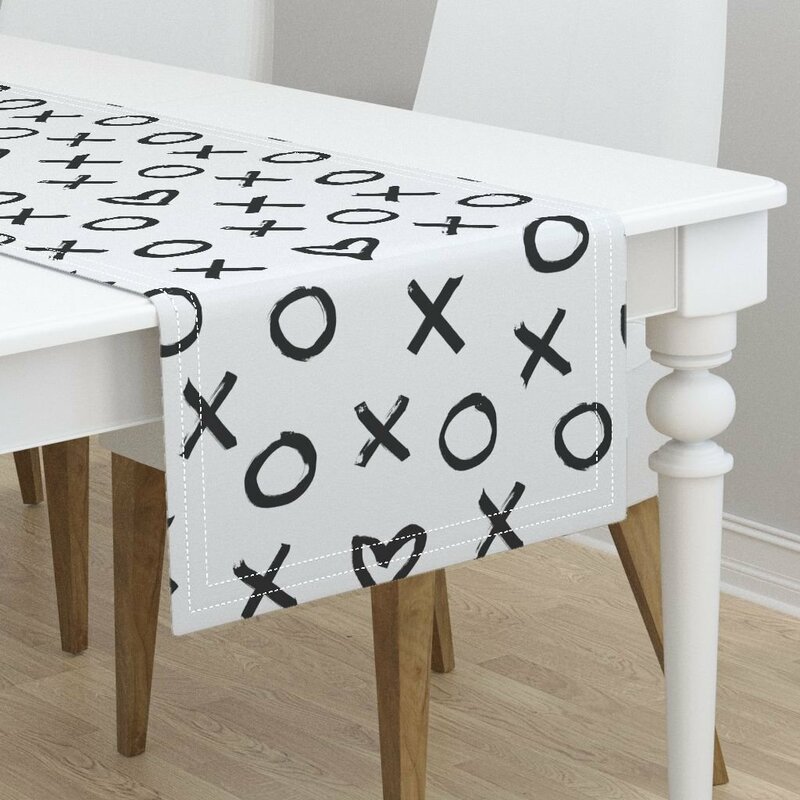 Hugs & Kisses tablerunner – just in time for Valentine’s Day! 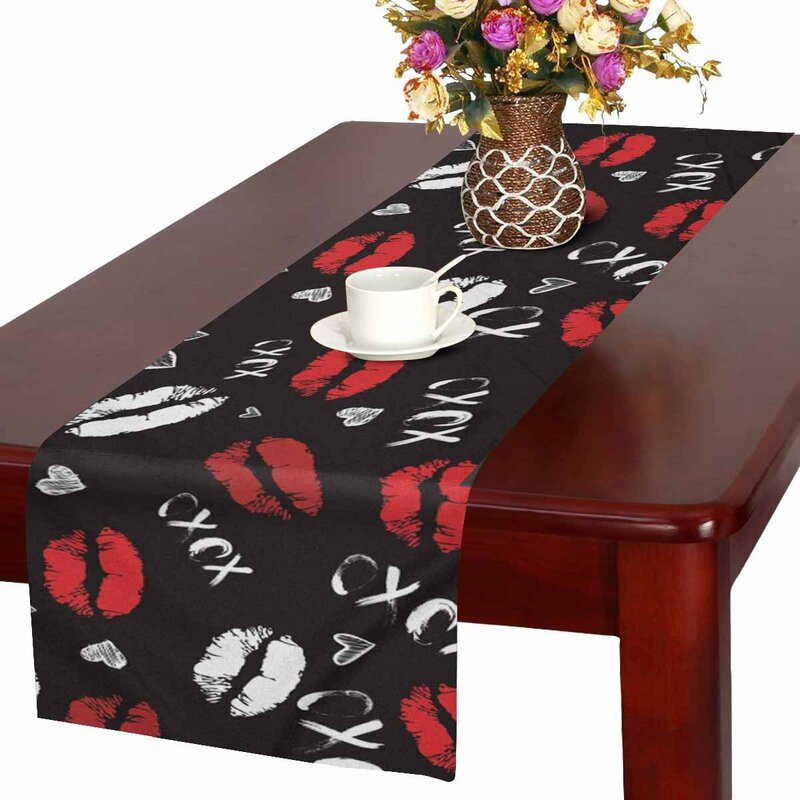 Made from quilting cotton and an 80/20 cotton/polyester batting. Straight line machine quilting. Comes from a pet/smokefree home. 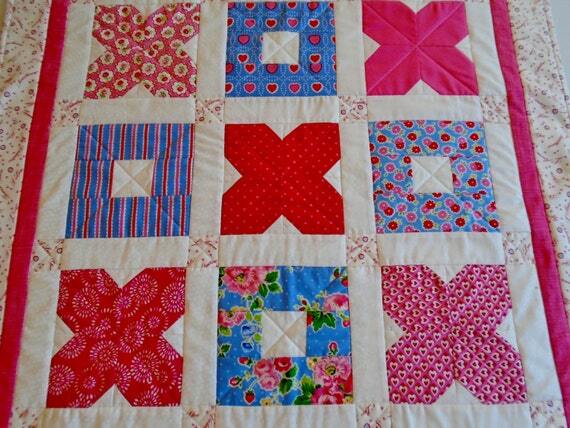 This sweet nine patch quilt features nine different pink, red, and blue prints, sewn into blocks representing hugs and kisses – X and O. 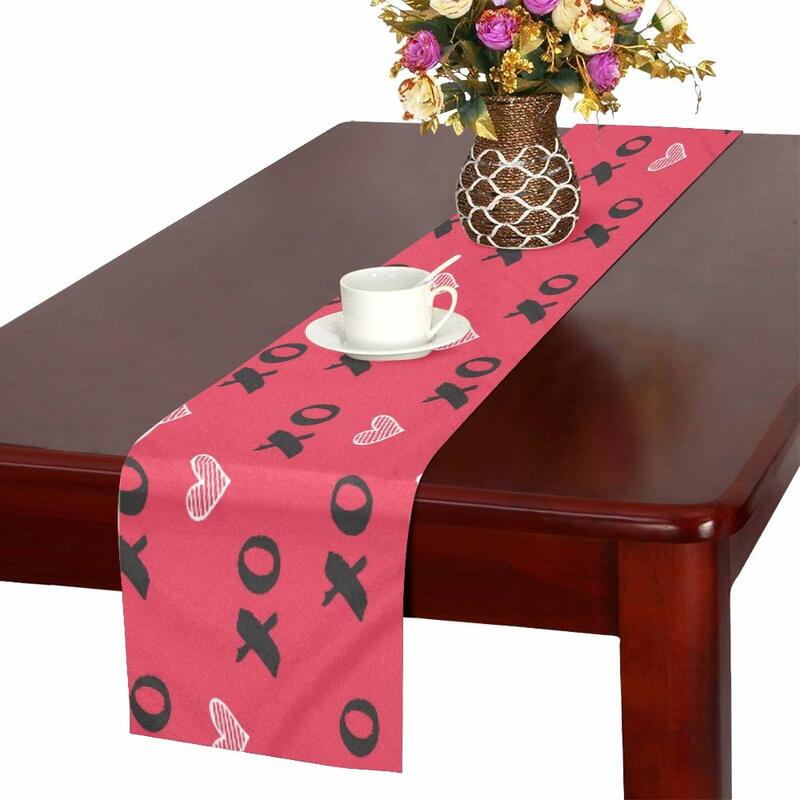 The small squares, outer border and binding feature a sweet valentine print with tiny blue hearts and love messages. The white background has tiny white flowers. I used fabric from the Pam Kitty Love Collection by Holly Holderman for Lake House Dry Goods and others from my stash. The double fold binding was machine sewn on, then hand-stitched to the backing, which is a white tonal floral print. A hanging sleeve is attached to the back of the quilt, if you prefer to hang the quilt. You can use a wooden dowel available at most craft and hardware stores. 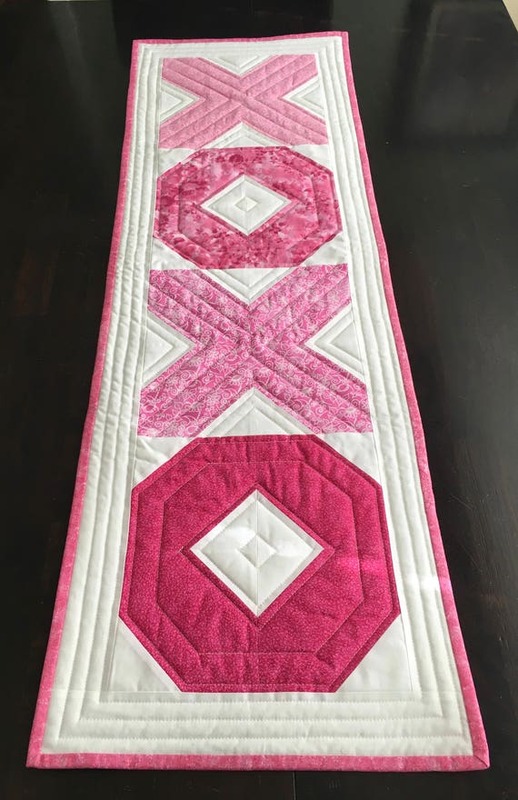 Quilt measures 31″ x 31″. BUILT TO LAST: One-side printing, using advanced technique, long-lasting effects. Lightweight, durable and could be folded away compactly. EASY CLEANING: Gentle hand wash separately in cold water; no shrink; no color ran.